Let’s face it. 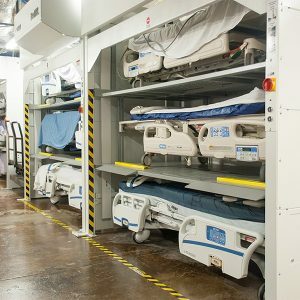 Hospital beds are far too valuable not to have in proper storage units when they aren’t in use. 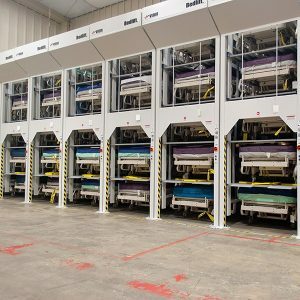 Keeping them haphazardly in inappropriate areas is not only a safety concern; it does a disservice to staff members who value cleanliness and organization. 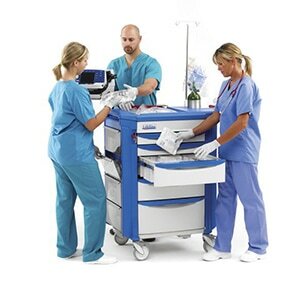 Ensuring the comfort and wellness of patients in all environments is a big part of healing. 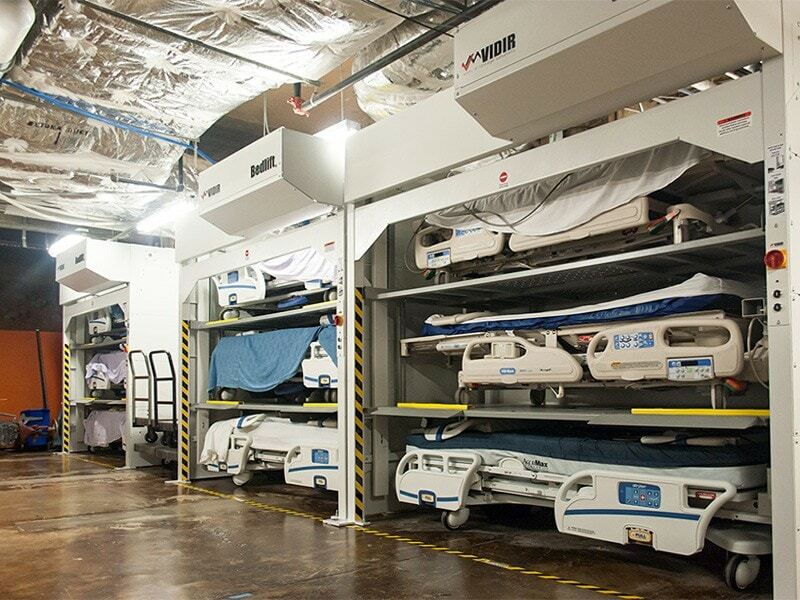 In some facilities, excess numbers of beds can cause storage problems – which can in turn lead to safety issues. 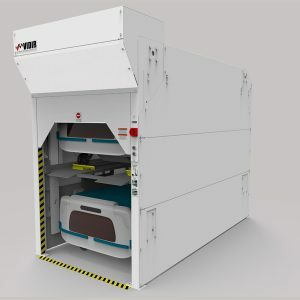 When storage is essential and space is at a premium, the Vidir Bedlift is the perfect prescription. 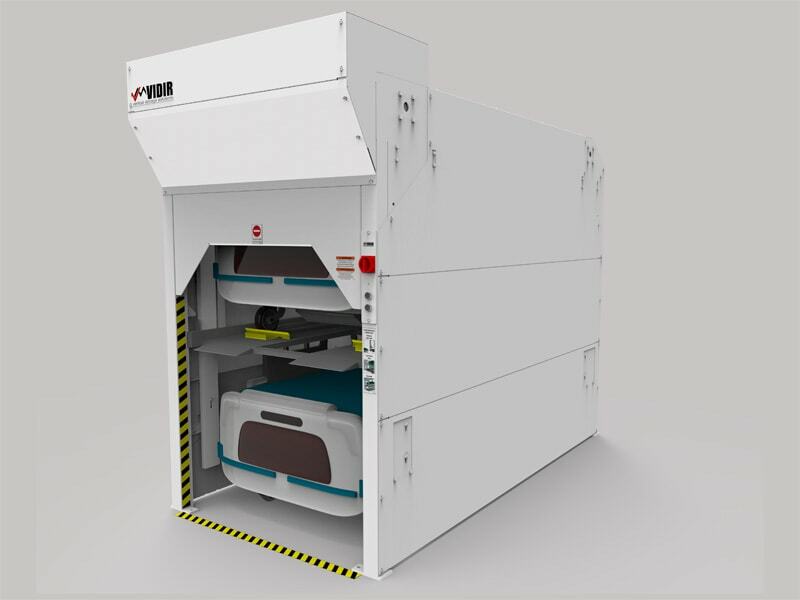 Available in customizable sizes and incredibly easy to operate, it provides the ideal combination of efficiency and efficacy for hospital bed storage. 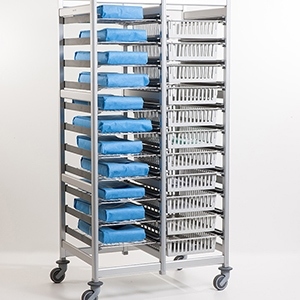 Protect your investment in hospital beds with proper hospital bed storage. 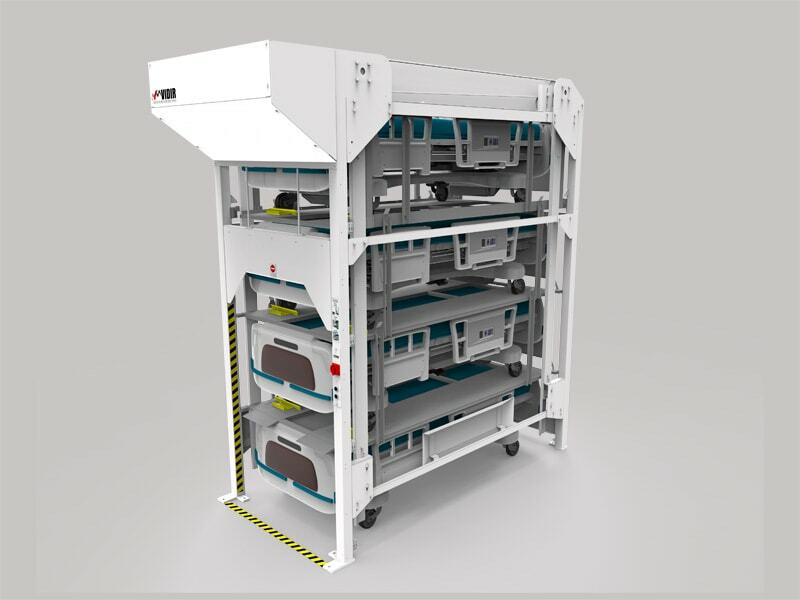 Check out this innovative, space saving vertical storage solution for out-of-use hospital beds. 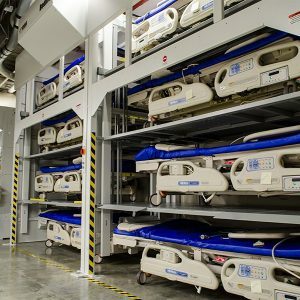 It’s the age-old question: where does a hospital bed sleep? 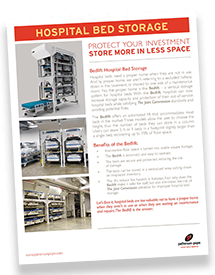 This BedLift Hospital Bed Storage cut sheet should get you closer to finding the answer. 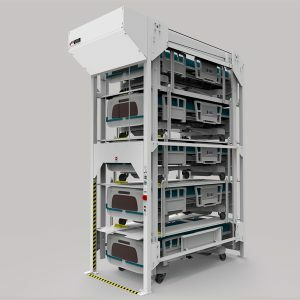 Download it now to get started. Consider the facts. 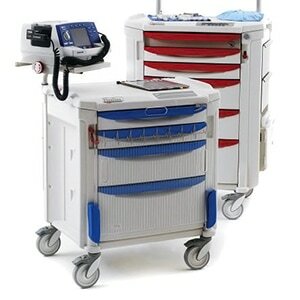 Hospital beds contain many electrical components, and may fail. 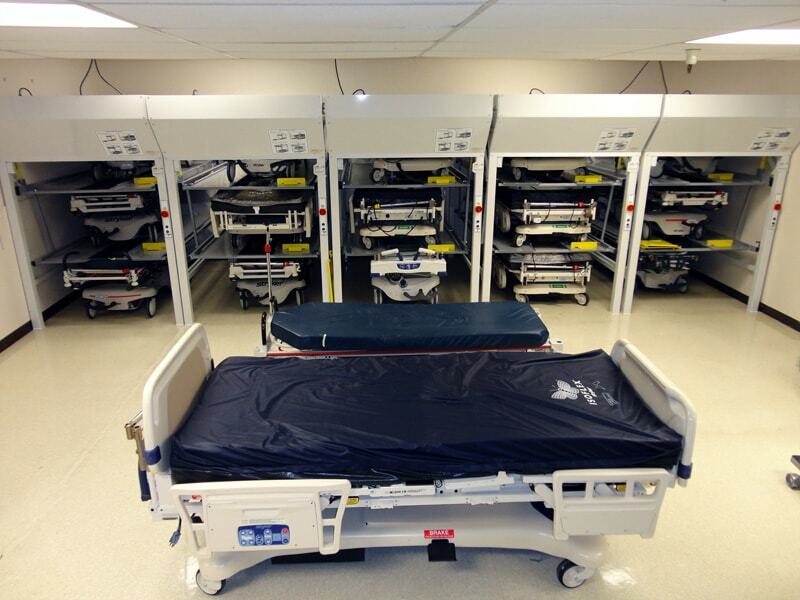 At any given time, at least 10% of all hospital beds are in maintenance. 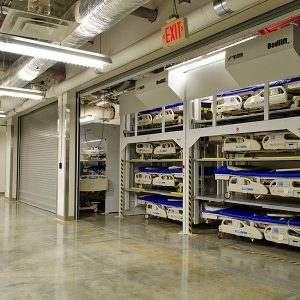 Combine both of those realities with one more – that the average cost of a hospital bed is about $4,000 — and it’s easy to understand why they’re rarely discarded. 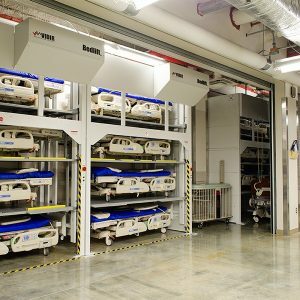 Given that investment, finding a way to safely and securely store out-of-use hospital beds is critical to a facility’s operation. 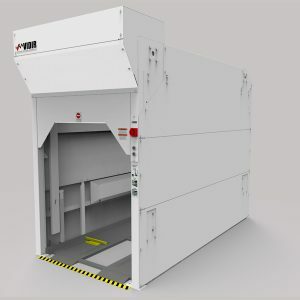 Vidir offers a number of ways to make that possible. 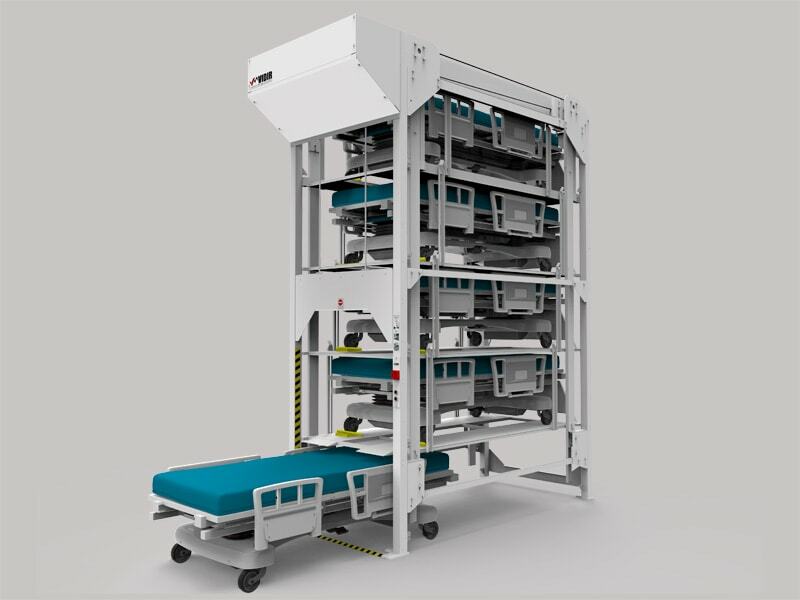 Here’s a quick overview of the Patterson Pope line of Hospital Bed Storage. 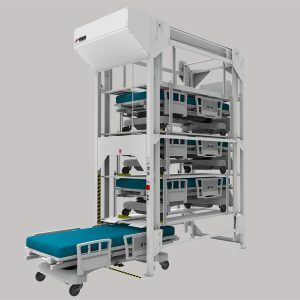 Please contact us to learn more and to start discussing how to make the best use of your space with a hospital bed lift. 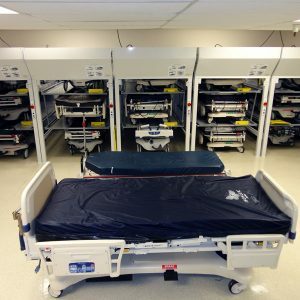 Hospital beds contain many electrical components that may fail. 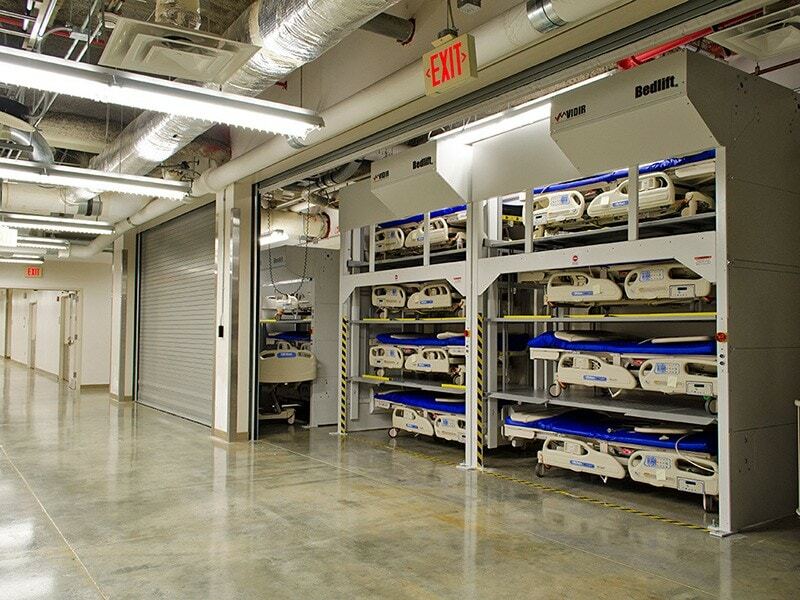 At any given time, at least 10% of all hospital beds are in maintenance. 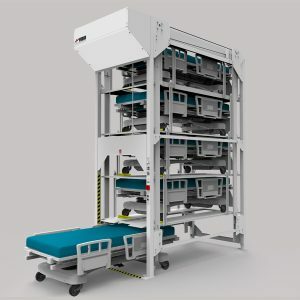 The average cost of a hospital bed is about $4,000, so beds are rarely thrown out. 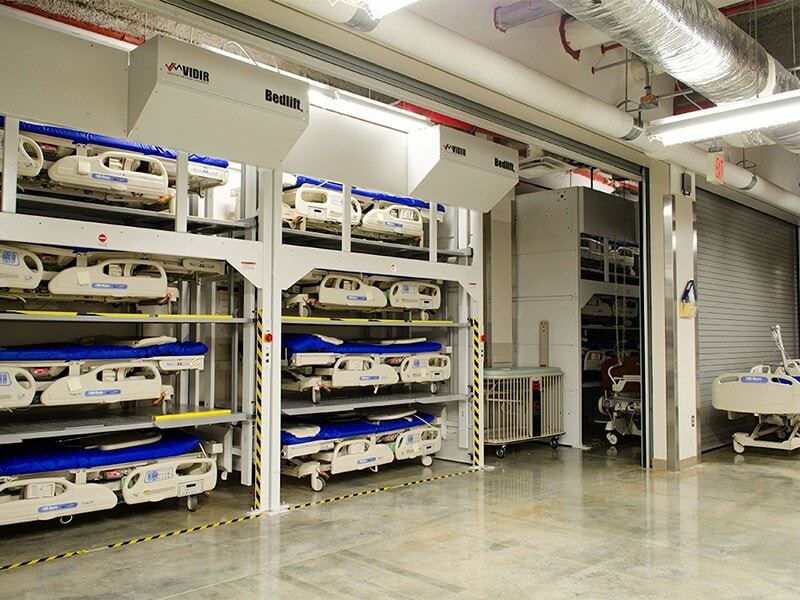 Municipalities require the hospital to keep a certain number of beds to meet a percentage of the population density. 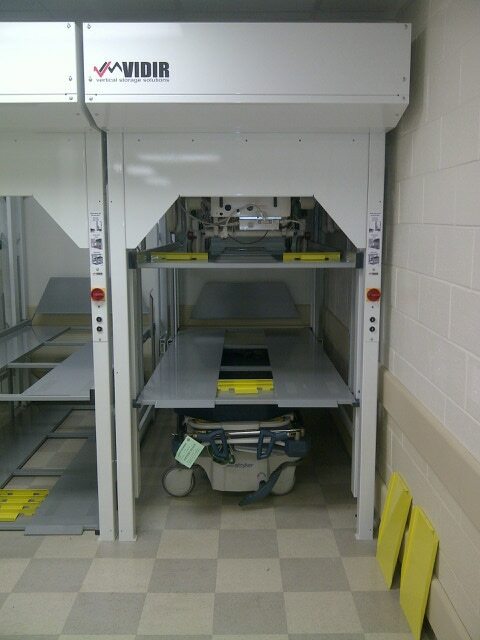 This count may be greater than the square footage that the hospital allows. 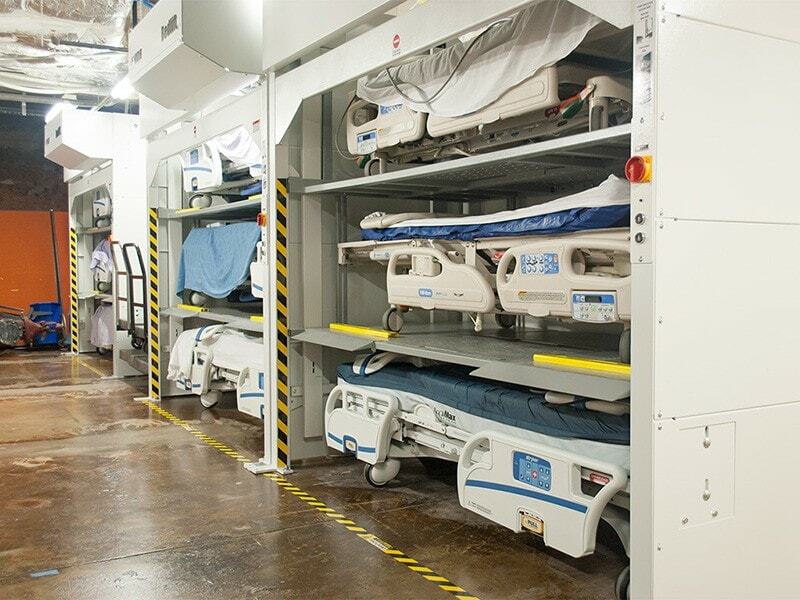 Beds must then be stored somewhere else, and typically that area is not readily accessible to patient areas. 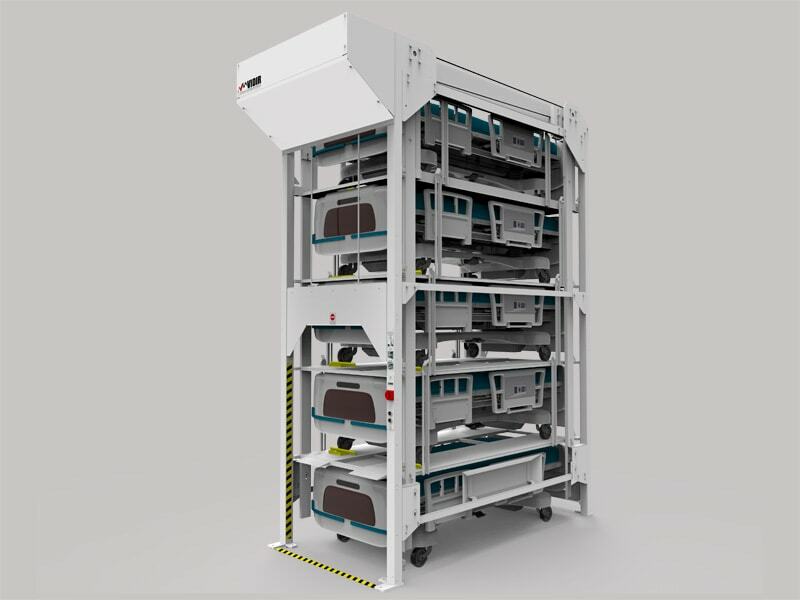 Beds do not easily sit on shelves, nor do they stack or fold. 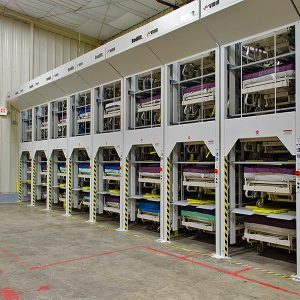 They take up a tremendous amount of valuable square footage. 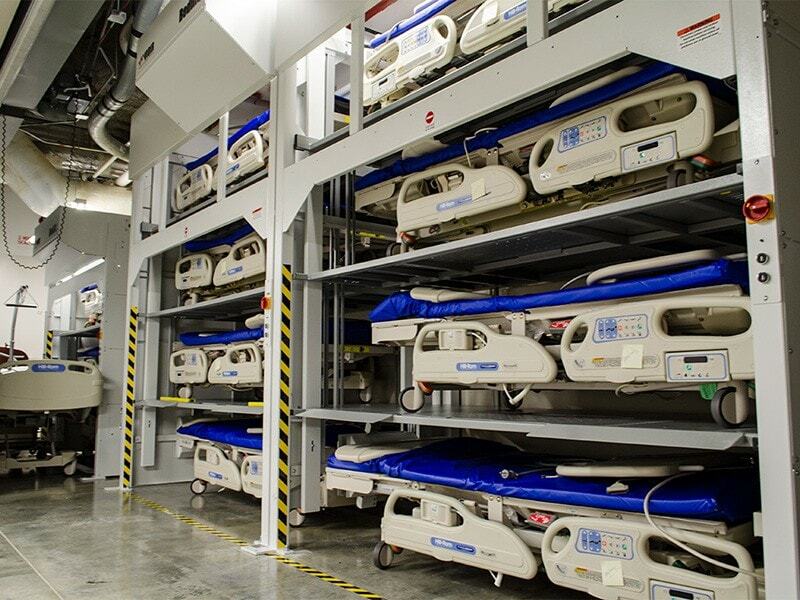 Beds weigh as much as 900 pounds. 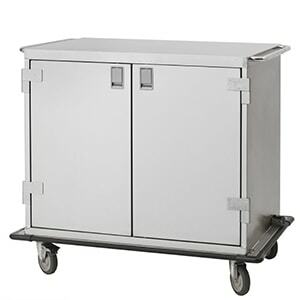 They can be maneuvered, but usually end up impeding access to other stored items. 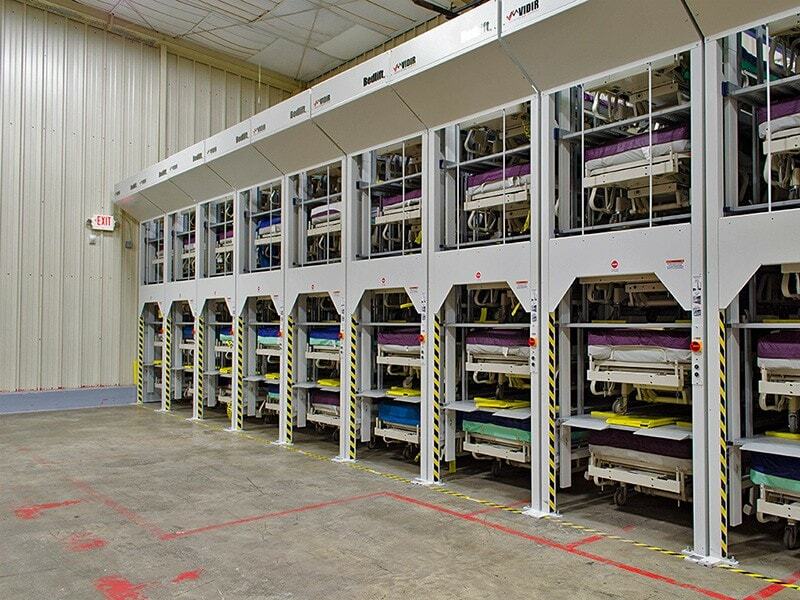 An entire room may have to be shifted around to retrieve various store material. 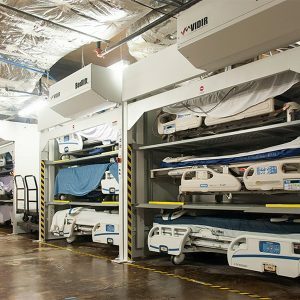 Hospital beds have a life outside of the patient room, so protect your investment and increase your storage capacity with Bedlift. 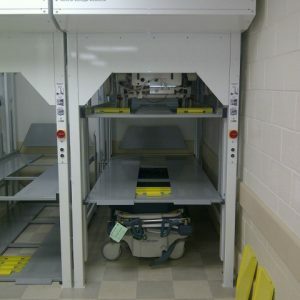 Inaccessible floor space is turned into usable square footage. 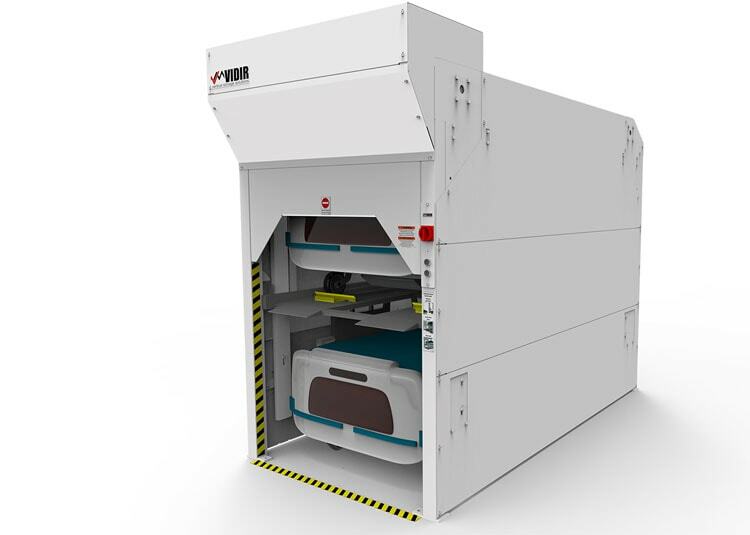 The product is automatic, easy to operate, and minimally invasive. 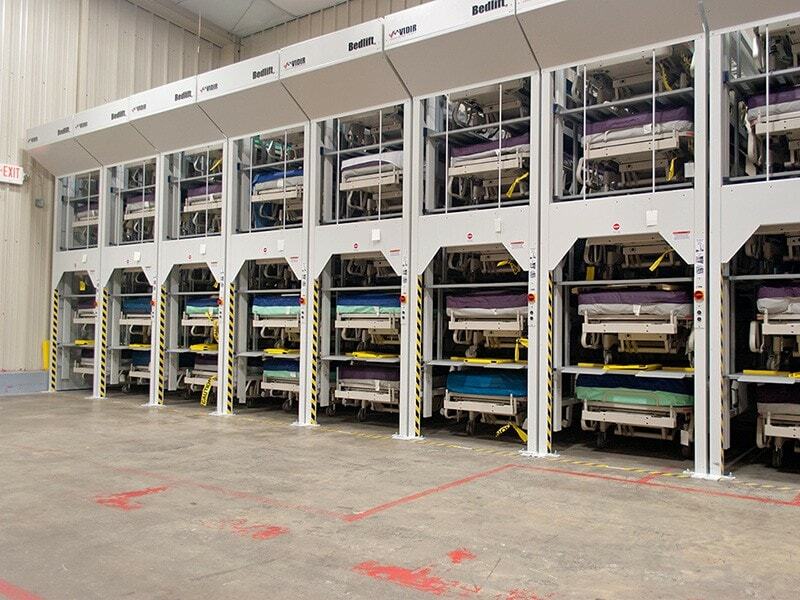 The beds are secure and protected, reducing the risk of damage. 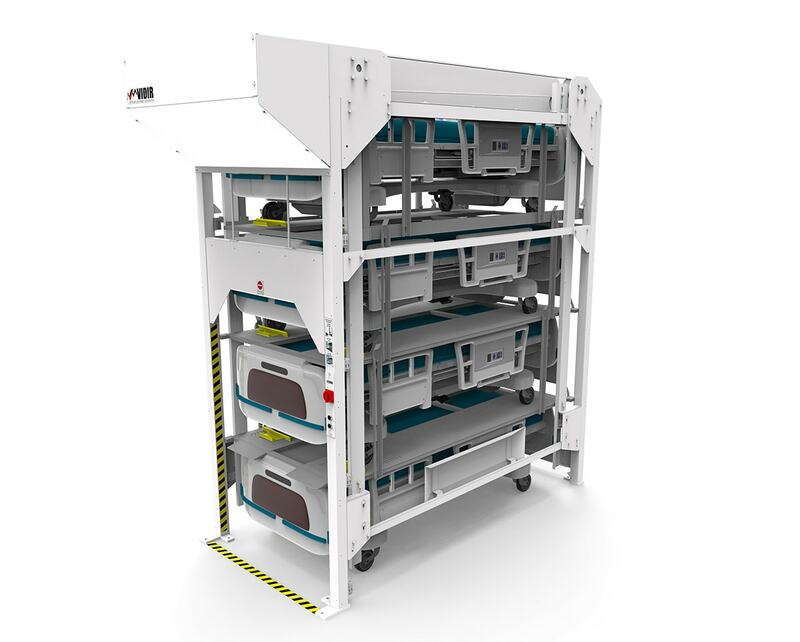 The beds can be stored in a centralized area, cutting down on misplaced inventory. 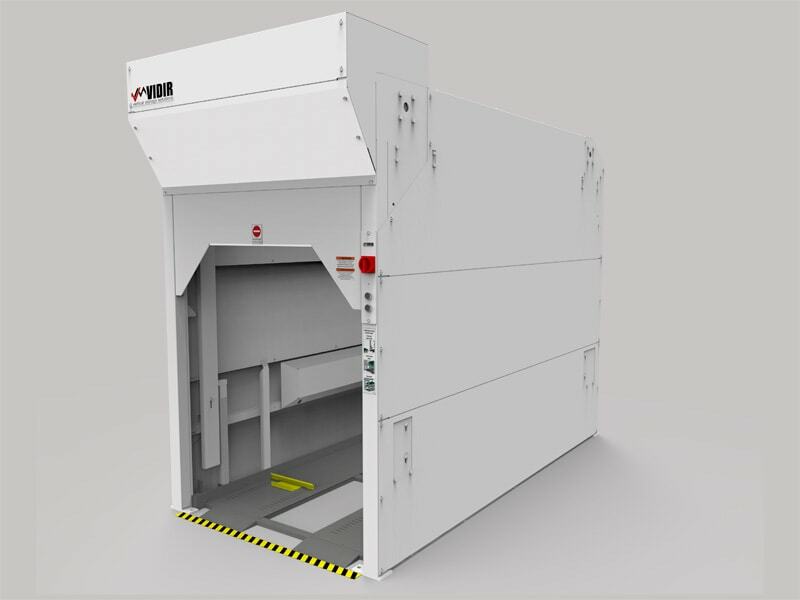 The lifts reduce fire hazards in hallways. 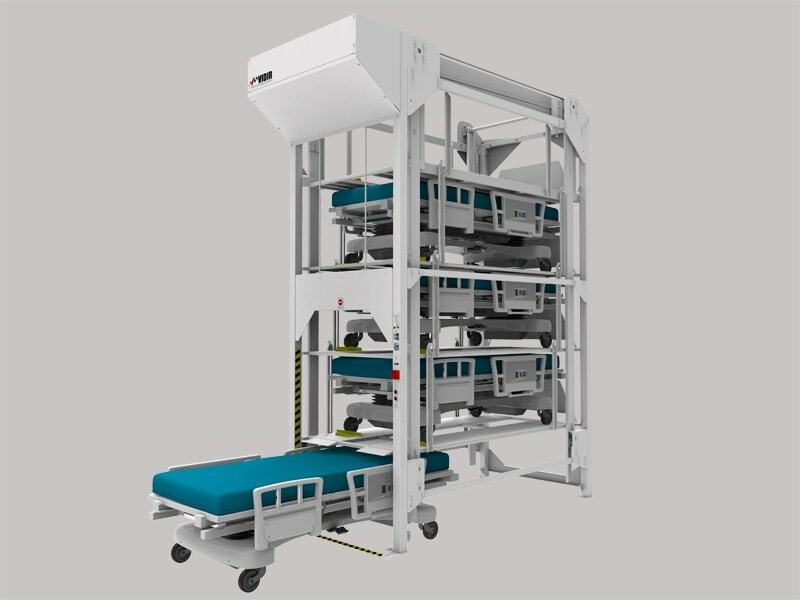 Not only does the Bedlift make it safer for staff, but also eliminates the risk of JHACO penalties for improper hospital bed storage. 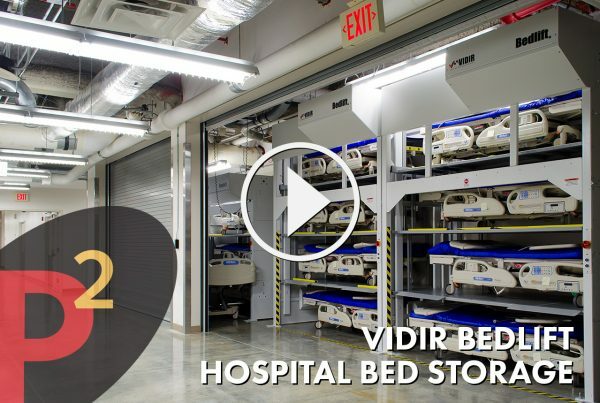 The Vidir Hospital BedLift is an automated bed lift that accommodates most beds in the market. 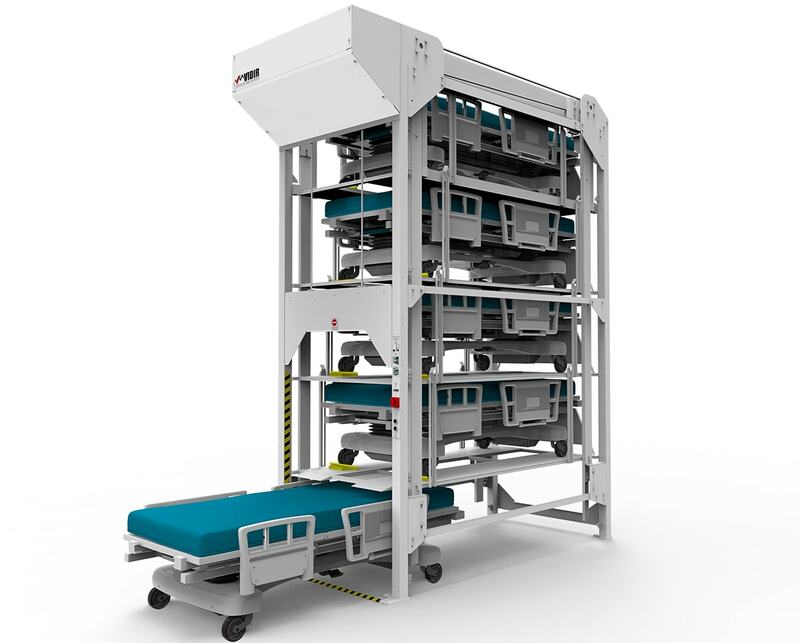 Three models allow a user to choose the height, and thereby the number of beds they can store in a column. 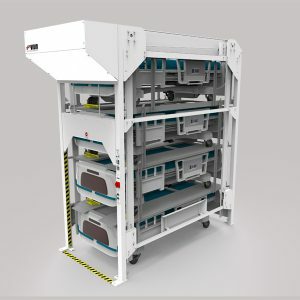 Users can store three, four or five beds in a footprint slightly larger than a single bed, recovering up to 70% of floor space.